Rittz fans won’t have to wait long to see another visual from the Slumerican/Strange Music emcee. @therealrittz @nikkiya #paradise VIDEO COMIN SOON!!!!! 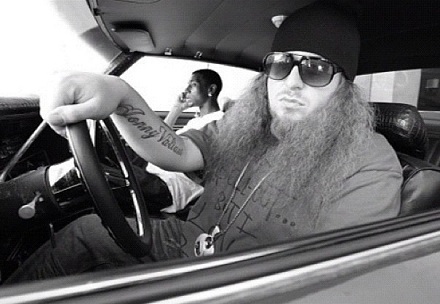 Soon after, Rittz dropped an exclusive flick from the video shoot (peep the new Strange Music chain). Fans may recall “Paradise” as one of the standout cuts from Rittz’s White Jesus:Revival mixtape and may also remember Nikkiya from her appearances on Tech N9ne’s All 6’s And 7’s. With a brand new tour on the way and a label behind him, Rittz is staying true to his indie grind. Stay tuned for the official “Paradise” music video! CLICK HERE TO DOWNLOAD WHITE JESUS:REVIVAL ON DJBOOTH.NET! Are you excited for a “Paradise” music video? Which tracks on White Jesus:Revival would you like to see a video for next?